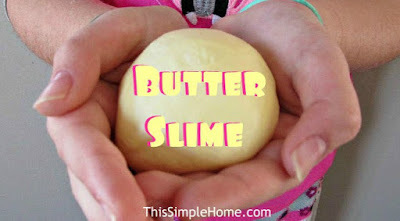 My daughter has been asking to make butter slime. 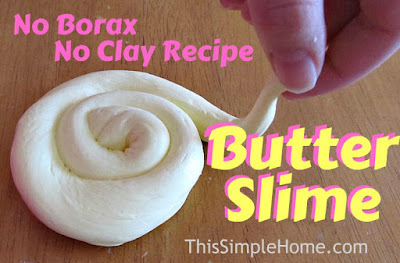 With a very successful second and third tries (not first), we thought we'd share this butter slime recipe with you. If you've never heard of butter slime, you might be wondering how it's different than other slimes. This recipe for butter slime doesn't feel wet like regular slime. With that dryness, it is also matte. Instead of dripping through your hands, you can form shapes with it. 1. Place the glue in a medium-sized mixing bowl. Carefully add the shaving cream. It foams up very quickly and will end up being rounded tablespoons of shaving cream. Stir these together. 2. Add 1/8 teaspoon baking soda. Stir. 3. Add 1 tablespoon of warm (not hot) water. Stir. 4. 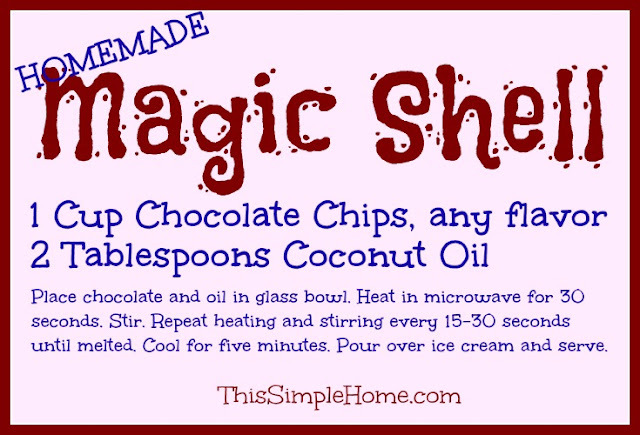 (Clean and dry tablespoon if using the same measuring spoon.) Add 3 tablespoons of cornstarch. Stir very well. Scrape the bottom and sides of bowl well. 5. Add food coloring of your choice. Stir. 6. Add 2 1/2 to 3 teaspoons of contact solution. 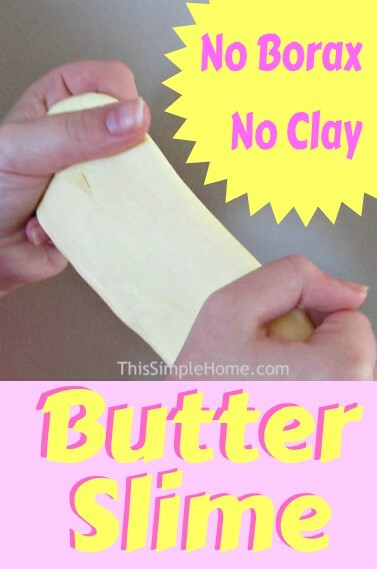 Stir well and then use your hands to mix the butter slime together. If it is still sticky, add a few drops of contact lens solution. 7. Have fun with your butter slime! Store butter slime in an airtight container. If you are curious what butter slime looks like in action, I found this video helpful, but did add a bit more contact solution than suggested. This year we'll have some of my family visiting for Thanksgiving. Since they're traveling from about five hours away and leaving at the wee hours of the morning I didn't ask them to bring anything for the meal. (But I'm super grateful my sister offered to bring an apple pie.) We look forward to spending the next few days with them. In the meantime, I think I have finally figured out how to make preparing a Thanksgiving meal, with plenty of sides, a lot easier. Have all of your recipes ready to use. 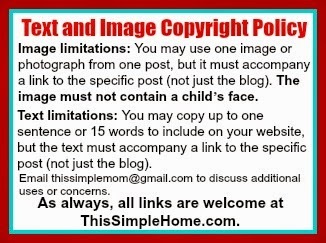 If you use the internet for them, have the printed out. 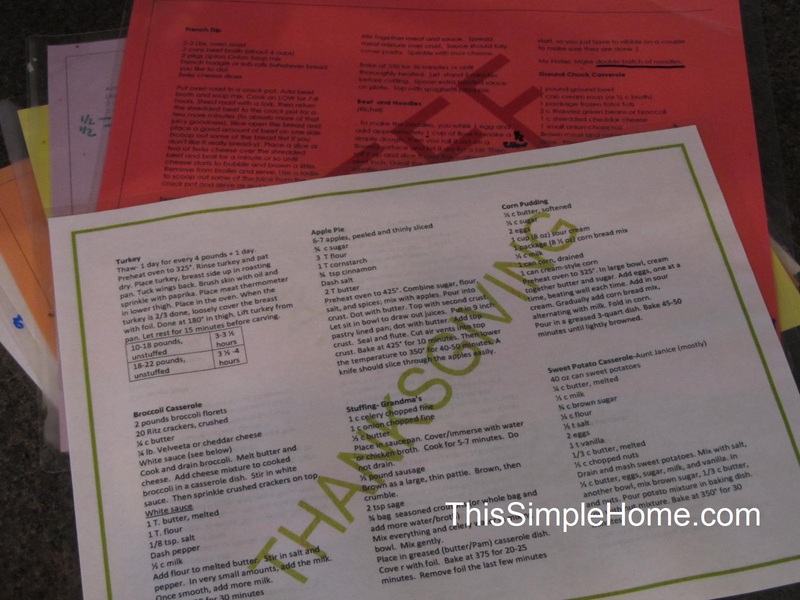 You don't want to have to look up any recipes or even how long to roast the turkey when you're knee-deep in Thanksgiving meal prep. This year I tried something different. I put all of my Thanksgiving recipes into one document. Using the "landscape" format with three columns, all of my recipes fit on one (front and back) piece of paper. After printing it, I laminated it, just like I did for all my recipes years ago. 2. Prep some dishes the day before. Typically I only prepare the breads and desserts in advance. However, this morning I prepared the cheese sauce for broccoli casserole, the sweet potato casserole (minus the nuts), the sausage stuffing (celery, onion, sausage), and the corn bread pudding. It may not look like much, but it will save me a lot of time tomorrow morning! 3. Decide which baking/serving dishes will be used. I cleared off my counter and brought out a lot of my serving and baking dishes. Using sticky notes, I determined which dish will be used for which food. It works for me. My husband's grandparents used to have turkeys on their farm. Grandma gave me some tips on how to prep the turkey-especially when there are always some ice in the cavity. 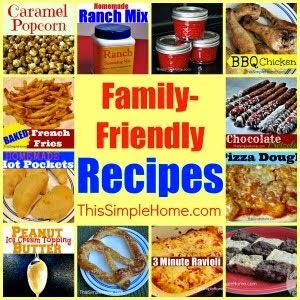 Read about Grandma's frozen turkey tips here. You may be wondering when I'll bake all of my side dishes when the turkey doesn't share the oven. I have taken the turkey out of the oven and still had it steaming HOT two hours later. Read how to keep your turkey hot for hours here. Thanks so much for stopping by This Simple Home! 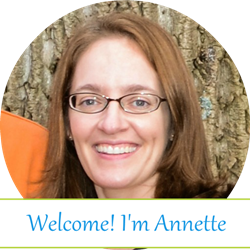 If you want to know what I'm up to with my writing these days, visit www.AnnetteWhipple.com. These figures sit above my kitchen sink. 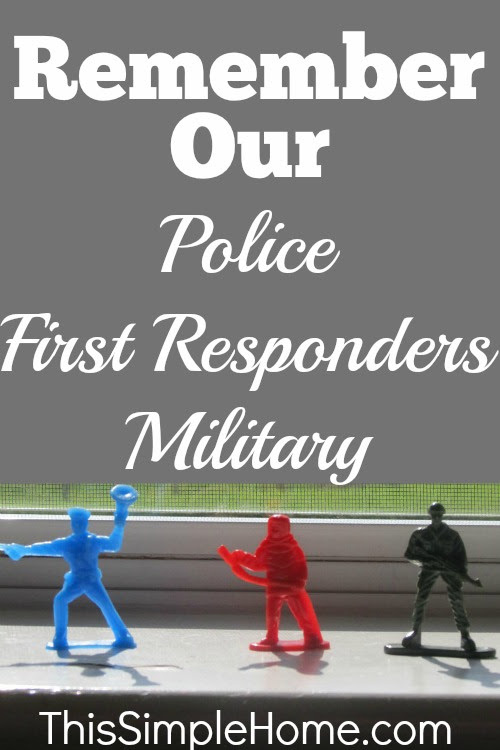 They serve as daily reminder to pray for the police, first responders, and military men and women who serve this country. I must admit these action figures were not my own idea. 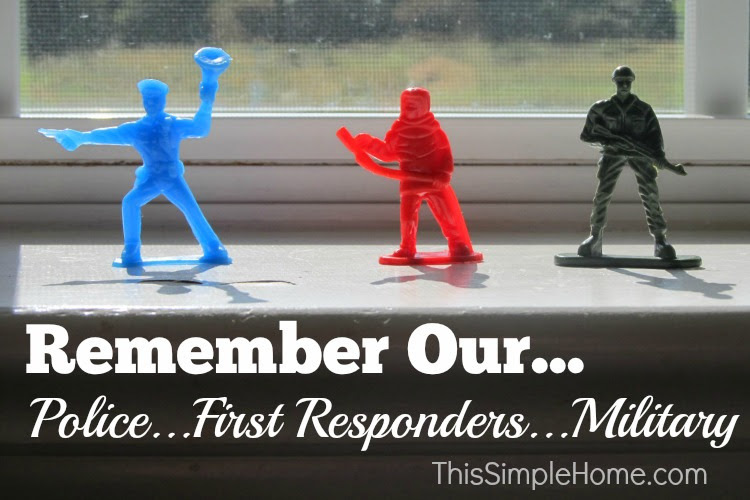 My local print shop offers the figures to patrons as a reminder to remember and pray for those who serve our communities and country. Last August my first book was published. This month two more of my books were published by Rourke Educational Media. They were a lot fun to research and write about. A lot of people ask me how I became an author. The short answer is that the first book was an assignment. I wrote a detailed post about getting my first book published here. Others want to know how they can best support authors (myself or others). Please consider requesting your public library order the books your favorite authors write. Then be sure to borrow them, too. Consider buying a book either for yourself or as a gift for another. Telling others about the books is always helpful, whether in real life or on social media. If the author provides school visits, tell your PTO and school principal. All of these things support authors! My publisher sent me these bookmarks this week. They will be given to children at upcoming events! I laughed when I opened the flap and saw my face there. 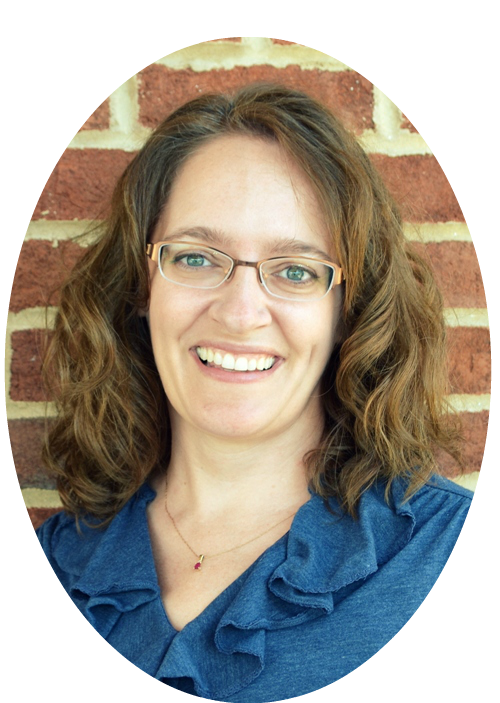 Thanks so much for reading about this new writing journey. It's been fun! Children love to know how things work including nature. 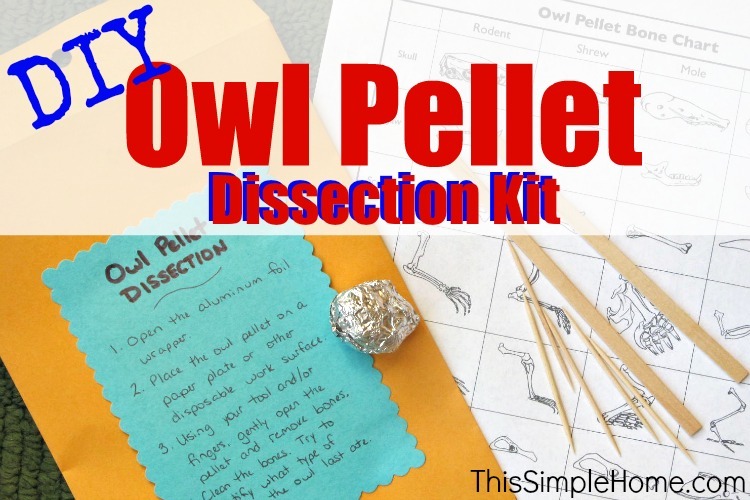 They can explore owls and the food chain with a hands-on owl pellet dissection kit. You can purchase these or create one. I actually made this homemade owl pellet kit as a birthday gift for a girl who loves owls. Below are some simple instructions to help a child dissect an owl pellet by him or herself. Maybe my mom made meatloaf when I was a child, but I don't remember it. Any time I had it as a teen, I disliked it. Maybe I just needed to wait for the right recipe. I don't measure the carrots and celery precisely. In fact, I even left out the celery at least once. I use whatever crackers I have on hand. Sometimes it's Saltines. Other times it is Ritz. I think one of the strengths of this recipe is its flexibility. It's also nice to have a meatloaf fully cooked in thirty minutes! Combine eggs, ketchup, Worcestershire sauce, mustard, salt, and pepper. Mix in saltines, celery, carrots, and onion. Add beef and mix well. 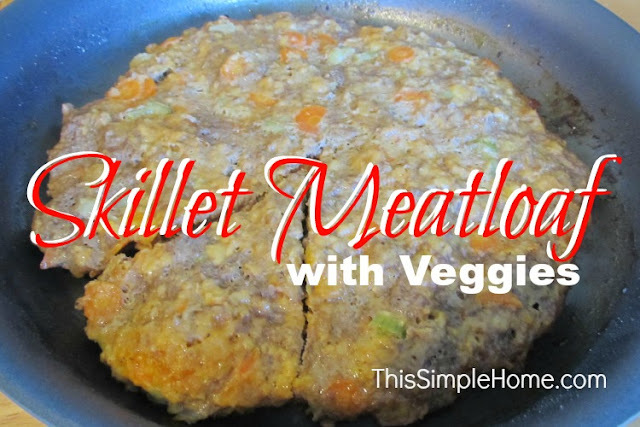 Place in a 10 or 12-inch skillet and form a large patty. Top with additional mustard or ketchup, if desired. Cover. Cook over medium heat for 8 minutes. Reduce heat to low and cook 15-20 additional minutes (to 160°). Drain any fat and let stand a few minutes before serving. Thanks, Aunt Janice, for another great recipe! 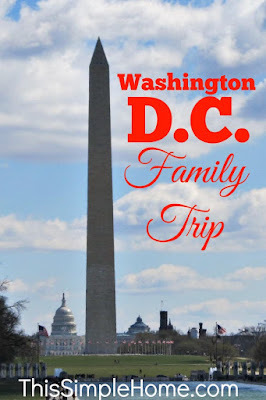 With Washington, D.C. only a couple of hours away, our family took an overnight trip to our nation's capitol. It was highly educational, but more than that, we had a lot of fun. For some background, we don't vacation much. We visit family overnight regularly and go to family camp each summer for a week, but we don't venture into new adventures too often. Our children are ages 10, 8, and 5. The children were beyond thrilled at the idea of a trip into D.C.
We left on a Friday morning when my children's school had off for a teachers' in-service. It was snowing. It wasn't long before the snow changed to rain as my husband drove us toward the city. We went to Greenbelt to take the Metro subway into the Washington, D.C. 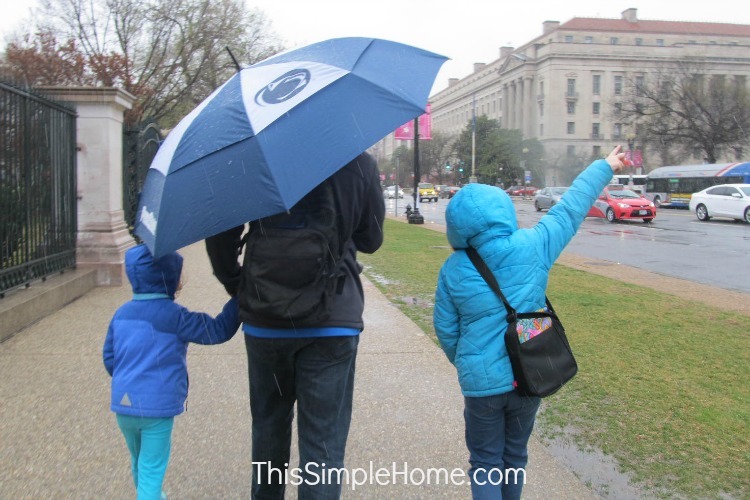 It was raining and sleeting when we arrived in our nation's capitol. We happily walked to our first stop of the day: The Smithsonian National Museum of Natural History. Maybe you've observed my absence from this blog. Or maybe, you're a bit like me, and you're too busy to notice. Though I'm not blogging regularly, I am certainly staying busy writing. My first book was published in August. 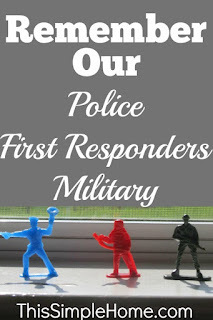 I love writing nonfiction for children! This month I turned in manuscripts for two children's nonfiction books. They'll be published later this year. I also have a couple of programs in the near future. One is about the creative calling. The others are presentations to celebrate the 150th birthday of Laura Ingalls Wilder. (See my schedule here.) 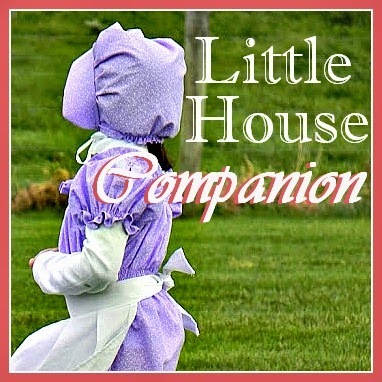 Over at Little House Companion, I've shared how you can prepare for your own Laura Ingalls Wilder event in a series of blog posts. And of course I still take care of my family and volunteer in my community. There's never a dull moment! If you want to stay up to date with me, it might be best to sign up for my newsletter or be in touch through Facebook. 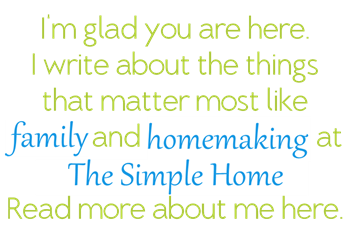 Thanks for reading This Simple Home!